A counterbalance to the unchecked power of employers, and a voice in improving the quality of their products and services. 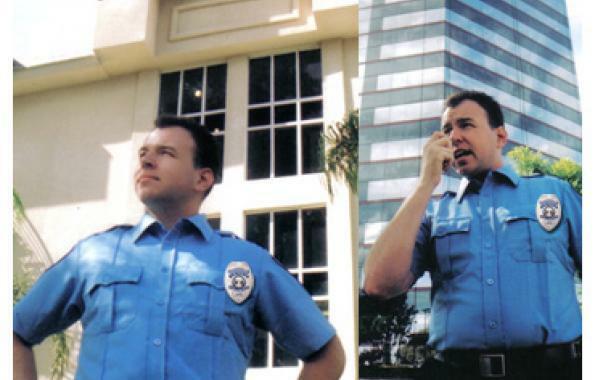 How do security police officer professionals form a union? When security police officer professionals decide they want to come together to improve their jobs, they work with a union to help them form their own local chapter. Once a majority of workers shows they want a union, sometimes employers honor the workers’ choice. Often, the workers must ask the government (NLRB) to hold an election. If the workers win their union, they negotiate a contract with the employer that spells out each party’s rights and responsibilities in the workplace. Under the law, employers are not allowed to discriminate against or fire workers for choosing to join a union. For example, it’s illegal for employers to threaten to shut down their businesses or to fire employees or take away benefits if workers form a union. Officers working at the Boston Massachusetts area Federal Buildings…. Are all Thumbs Up for SPFPA! How can the SPFPA help us? Through the SPFPA, security police officer professionals win better wages, benefits and a voice on the job—and good union jobs mean stronger communities. Union workers earn 28 percent more than nonunion workers and are more likely to receive health care and pension benefits than those without a union. Unions lead the fight today for better lives for working people, such as through expanded family and medical leave, improved safety and health protections and fair-trade agreements that lift the standard of living for workers all over the world. face today when they want to form unions? Today, thousands of Security Police Professionals want to join our union SPFPA. The wisest employers understand that when security police officer professionals form unions, their companies also benefit. But most employers fight workers’ efforts to come together by intimidating, harassing and threatening them. In response, workers are reaching out to their communities for help exercising their freedom to improve their lives.